We all have our own issues from time to time, but most of us don't take it out on society, unlike this middle-aged Russian woman. Whatever problems the lady had, she was hell-bent on making sure fellow citizens paid. 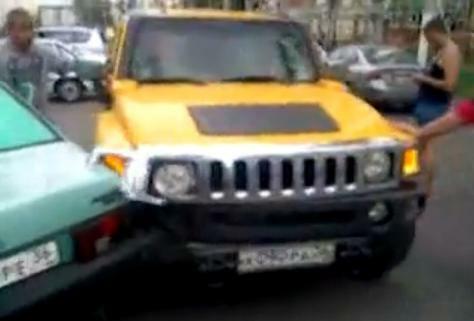 The woman's rampage saw her damaging several cars in her bright yellow Hummer H3, before a road-side pole stopped her path of destruction, ripping off the right-hand-side front wheel and suspension components. Whether the woman had a mental breakdown or was drunk remains unclear.